Let’s Explore Diabetes With Owls by David Sedaris is a collection of essays and some short blurbs that he suggests could be used by students in their competitions for “forensics.” Many people talk about Sedaris’ humor and outrageous tales, and while many will look for his signature humor here, they may find that it is a bit subdued and less abrasive than usual. Many of these essays seem more reflective than probing (think poking with a needle), but they also resemble the tall tales that young children tell their parents when explaining what they did that day or why they got in trouble, etc. The first two essays in the collection showcase backhanded sarcasm aimed at American and especially modern ideas about parenting and socialized healthcare, especially the dark fear that socialized healthcare means dirty cots and “waiting for the invention of aspirin” and the coddling of kids who are clearly engaged in bad behaviors simply because a stranger points out the child’s misbehavior. The end of the collection, “Dog Days,” is a bit more crass in its humor, written in a rhyming poem about various dogs and the parts of themselves that are licked, snipped, and dipped. These little stanzas were by turns slightly funny to just mediocre as they are things that any person with “toilet” humor would come up with. In this essay collection, they stood out from the rest, but in a grotesque way. The essays that reach back into his early family life are the most interesting, and the essay “Author, Author” is ironically humorless in its telling, but it drives the point home not only about author tours — the good and the bad — but also the changing landscape of book stores and readers. 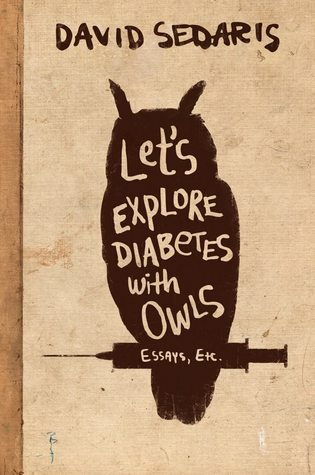 Let’s Explore Diabetes With Owls by David Sedaris is an interesting essay collection, but fans may find it a bit more subdued than his other work. David Sedaris is a playwright and a regular commentator for National Public Radio. He is also the author of the bestselling Barrel Fever, Naked, Holidays on Ice, Dress Your Family in Corduroy, Denim, When You Are Engulfed in Flames and Me Talk Pretty One Day. He travels extensively though Europe and the United States on lecture tours and lives in France. Visit his Website. This is my 41st book for the 2013 New Authors Challenge. The Best of PUNK Magazine by John Holmstrom and Bridget Hurd, with a foreward from Deborah Harry (yes, the singer from Blondie) and Chris Stein (co-founder of Blondie), is a compilation of the best articles and artwork from the magazine, and it opens with a fun depiction of New York City — “The PUNK Map of N.Y.C. : For jerks who just don’t know their way around.” The drawings of the rivers and the streets and the realistic, and yet, out there cartoons are likely to generate smirks, if not genuine smiles. As someone born in the late 1970s, but in love with punk music and Blondie, this collection is something that provides not only more background about the emergence of punk, but also the whimsical fun and sort of not-a-care-in-the-world feel of the genre. PUNK magazine had a lot to live up to as the voice of 1970s New York, but it also had a lot to break away from in terms of what was expected of a music magazine. Clearly, PUNK was a magazine dedicated to snarkiness in all its forms — visual and textual — and it worked well. It was gritty, it was real, and the glamor was no where in its photos or its comics, but that seems to be why the magazine stood out. There was a whole lot of youthful exuberance in the beginning of this magazine as nicknames were handed out and spaces were renamed — like the PUNK Dump. The opening interview with Lou Reed is just the tip of the mosh pit with this magazine. Reed is so candid, it’s almost like he forgot he was being interviewed by a magazine, and it is unlikely anyone told him the interview would be turned into a comic strip. The comics are filled with typical masculine and bathroom humor at times, but the drawings are enough to carry the jokes beyond their static line. A really cool moment in the collection is the results of the Patti Smith Graffiti Contest, where some are so tasteful and others are just outrageous. 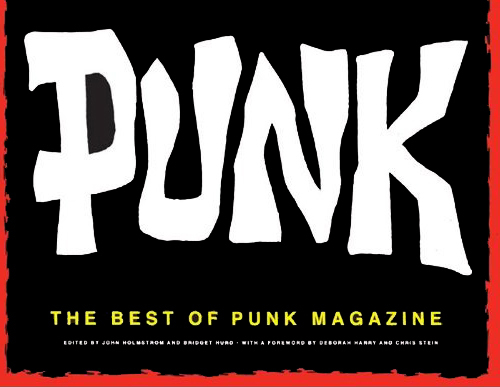 The Best of PUNK Magazine by John Holmstrom and Bridget Hurd is a great compilation, but you may not want to leave it on the coffee table with conservative parents or in-laws around. It’s got some bawdy humor, creative ideas, fantastically candid photos and interviews with punk rock stars of the time, and so much more. Reminiscent of MAD Magazine and the like, but it really has a garage feel about it — a passion of the listener, the true fans of PUNK. John Holmstrom is a cartoonist and writer and co-founder (with Legs McNeil) of Punk magazine. He illustrated the covers of the Ramones albums Rocket to Russia and Road to Ruin, and created the characters Bosko and Joe, which were published in Scholastic’s Bananas magazine from 1975-1984, as well as in Stop! Magazine, Comical Funnies, Twist, and High Times. Holmstrom’s work and unmistakable artistic style has become the key visual representation of the Punk era. 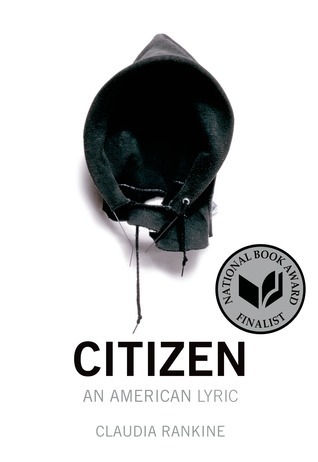 This is my 13th book for the 2013 New Authors Challenge. 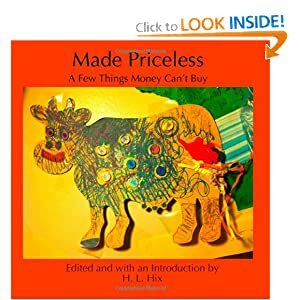 Made Priceless: A Few Things Money Can’t Buy edited by H.L. 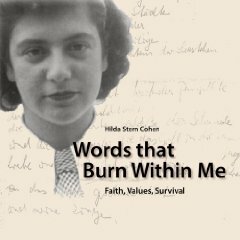 Hix is a collection of short essays about items writers have in their possession that they neither bought nor would they sell because they hold a value not measured by the marketplace. The book pays homage to all that is held dear in today’s society from a time long past waiting to be recaptured in memories to places you can revisit, though the light will be slightly off or the wind will blow harder. Hix has culled together a series of short essays that demonstrate the beauty we find in the most mundane things from flags to typewriters to playing cards found on the ground. Contributors to the collection range from writers and poets to bricklayers and flight instructors, among many others. The book also is broken down into more than 30 sections with titles like “emotionally pervaded,” “moral transactions,” and “No Ideas.” While the book is in itself a collection, Hix has asked readers to keep the dialogue open and fluid in an open invitation to readers and reading groups to contribute their “object lessons” to his blog; find out more about that project from my previous post. Resilience edited by Eric Nguyen is a collection of essays, poems, stories, and advice for young gay, lesbian, bi-sexual, and transgender teens and young adults, but there are lessons in these stories for everyone, including those that bully, talk down to, or otherwise belittle people. The world would be a much better place if we were secure in ourselves and didn’t give others’ hate speech the credence that we do or given them the power over our own lives, but those of us who need support, deserve a system of people and community willing to stand up for others. The collection has some powerful short stories and inspiring essays, and there are poems that demonstrate the pain, confusion, and bullying that LGBT teens experience daily. It is both heartbreaking and inspiring. There are letters to the younger self, plays, monologues, and more. While some of these cry out the injustices experienced by the writers or their characters, others share the regret of not stepping forward to defend their friends and family from bigots and those narrow minded people who tortured and ostracized others because they were different. 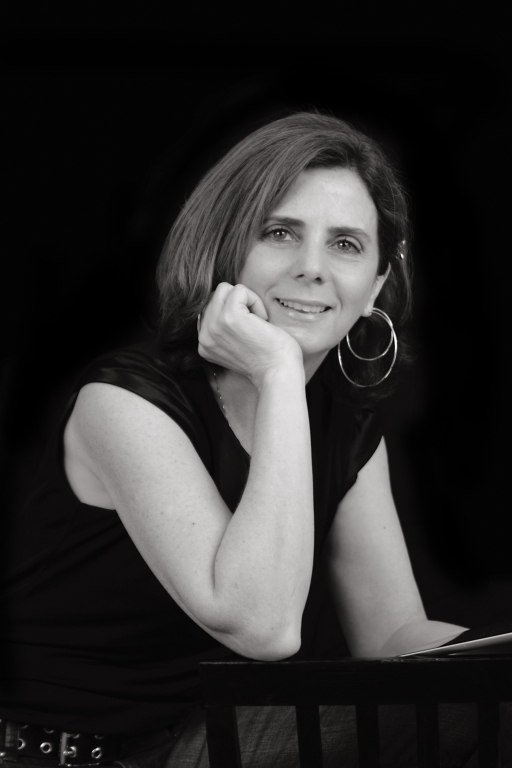 Emma Eden Ramos, whose poetry collection Three Women: A Poetic Triptych and Selected Poems was nominated for the 2011 Indie Lit Awards, offers a genuine short story, “Where the Children Play,” that will have readers by turns anxious and hopeful. These are the stories readers will cling to, hoping that the world will begin to emulate the acceptance and the unconditional love in these pages. 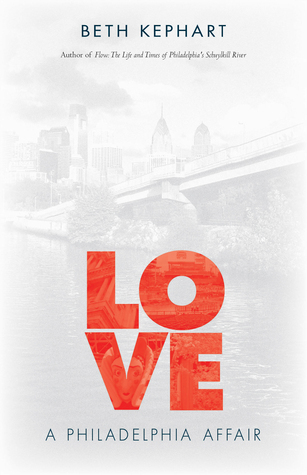 Readers may have a tough time reading the collection cover to cover, but its meant to unsettle conventional thoughts and open readers’ eyes to the struggles of LGBT teens as they struggle to find themselves and “come out” to their friends, parents, and loved ones. Although they may accept themselves, telling someone who has a different perception of you is a conversation wrought with fear and longing. Resilience edited by Eric Nguyen is a collection for not only the community it represents in its stories, poems, and essays, but also for those of us who need to be reminded that these teens are people struggling with issues that go beyond what clothes to wear and what activities to engage in at school and outside of it. For those without role models or who live in cloistered families with traditional beliefs, this can be restrictive and even more difficult to overcome. On March 17 at 3-5PM, an Open Mic night will be held for contributors to the collection at WordUP Books. For more information about the Resilience project, visit the blog. 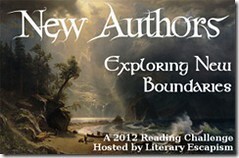 This is my 13th book for the 2012 New Authors Challenge. 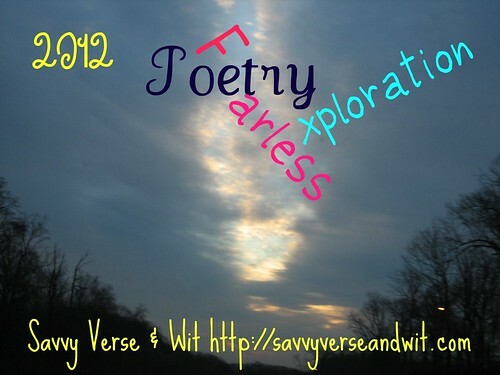 This is the 1st book for my 2012 Fearless Poetry Exploration Reading Challenge.